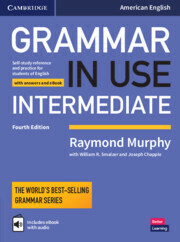 Grammar in Use Intermediate with Answers and Interactive eBook, authored by Raymond Murphy, is the first choice for intermediate (B1-B2) learners of American English and covers all the grammar required at this level. It is a self-study book with simple explanations and lots of practice exercises, and has helped millions of people to communicate in English. It is also trusted by teachers and can be used as a supplementary text in classrooms. 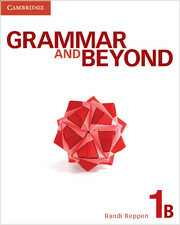 This version includes an eBook with the same grammar units as the printed book, plus audio. It can be accessed online or downloaded to iPads and Android tablets.